Binary Option is the option wherein traders position, with simply yes or no, on an asset and the payoff can be just either zero or a fixed amount. It is basically a trade related service connected with price fluctuations on the stock brokering. With everything going online, the trading platform is accessed easily and is not hard to be understood. It is in fact more of a flexible trading instrument, for short term investments. Digital Option is also often known as UP/DOWN option or CALL/PUT option. In this option, the trader tries to guess the position of the asset, whether it will stay above or just below the respective price, within a particular stipulated time. At the expiry of the time limit, the immediate result is simply displayed. Traders often select this very option as it has a dynamic trading range. In simple words, the traders just need to determine whether the option is to go high or would fall low with the rate, thus entered at the trade. Often the time limit begins from a mere 60 seconds, 15 minutes and can reach up-to 1 hour or the end of the day. The notification in the form of e-mail is sent at the very closure of each trading, thus done. The statuses of these are actually very easy to follow and can be monitored closely. The trader does not have to always log in and trade. The automatic entry and exit of the trading platform does the needful. 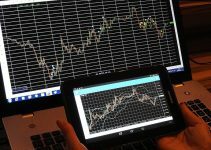 The Touch option is based on principles of Forex trading. The rates of the assets here are predetermined. If assets touch the strike point within any given time, high returns between 75- 80% come to the investor. Here options are only purchased at the weekend, when markets are closed down. During the week, it trades. Within the weekdays the rate fluctuates during the day. At the end of the day, it stops and results are announced of how much payoff is predefined for the trader. Touch, No Touch and Double Touch are the varieties that this option offers. It is ideal for traders who know the underlying value of the asset but are unsure of how long it will hold and when to invest it in the near future to gain high returns. 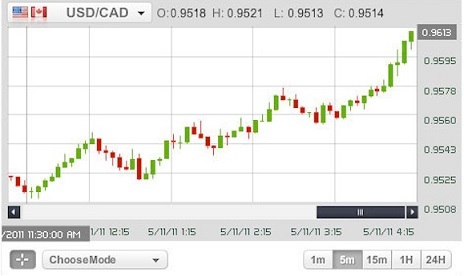 The most popular option, nowadays in Binary Option trading system, is 60 Seconds option. A 60 second time frame is set up, in which the trade conducts maximum trades. If he sees the asset value going in one direction, he can speculate as to where the rates will end. It is a guaranteed option as it equally gives the trader, maximum profits for the trading done. Basically this option is for traders who look forward for dynamic trading and can judge the market quickly and put the knowledge into effective use. The market trend is an important factor in deciding the rates of profit. A good knowledge is also ideal for the decision. 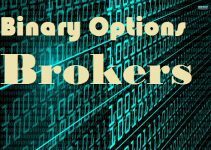 This option simply allows the trader to sell options that can give a little less profit than what earlier expected. It does not follow the expiration of time limit. Many a times it seems to be a good choice with a little deduction to the profit payoffs. Although it is a risk reducer, giving up on stocks when they are out of monetary value is advised. The amount obtained is accepted. As since it is rarely used, it is not always offered in the range of option by the traders. This option is often referred to as Range Option or Tunnel Option. Here, two boundaries are set up: lower and upper. The rates either go inside or outside the boundary within the time span. The movement of rates stays within the boundary set up. Even if the prices cross the boundary, it needs to be within the boundary wall at the expiry of the time. The traders need to keep the asset value within the boundary to receive a payoff. It gives the high chance to be on the safe side of the profitable market strategies to be happy. It is ideal to trade with own choices selected by the trader for a healthy return on the investment, probably a safe choice. Many other prescribed options are there as Binary Option trading a whole wide range to invest in any asset, within any time frame. But these are solely dependent on the market trends. Trading is divided into two: if want to gain big-go for Call/Put option. If want to gain small- go for Touch or 60-seconds Option. 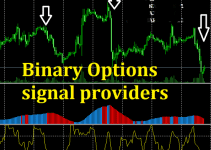 With keeping in mind the factors, traders can master the Binary options and select with trading option will suit them, as not every day the market analysis and trends stays the same.